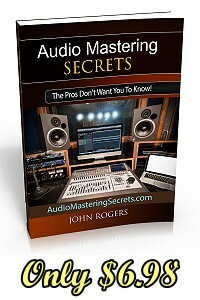 But before I get started, be sure to visit this link after you read this article for my low mastering rates. I would say someone just starting out in audio mastering might take an hour to A/B compare a song and replicate it. That time includes reviewing the song on different mediums like a car stereo, headphones, small speakers, etc. That's an hour total time to master one song. As you improve with practice, you can quickly get it down to 30 minutes per song or less. 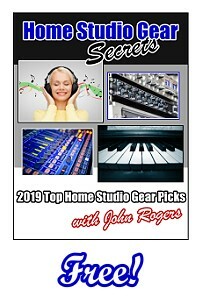 A highly skilled audio mastering engineer can master a song in 10 minutes. At least that's how long it takes me. Note - I ALWAYS split my audio mastering into two separate sessions so I can finalize on fresh ears. I talk about this later in the book. Some of you might think 10 minutes to master a song is too fast. It is if you're just starting out. You will need more time to A/B compare and to test out different settings through trial and error. 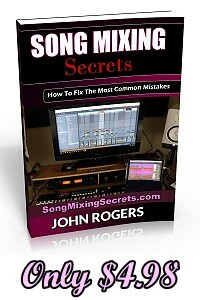 But in time, you'll learn how to quickly diagnose what a mix needs and what to do to achieve your desired results. Now (after many years), if I spent 10 minutes or 40 minutes to master a song, my results would be exactly the same. An extra 30 minutes would not make my masters any better. A good non-music example would be tying your shoes. The first week you learned as a child, it might take you a minute to tie each shoe. And you still might not get it right! Now, you can tie both shoes to perfection in 5 seconds! If you spent an extra two minutes tying your shoes, could you do a better job? No. Whatever you can do in five seconds, the results will be exactly the same as if you spent two minutes. The same goes for a highly skilled pro in audio mastering.